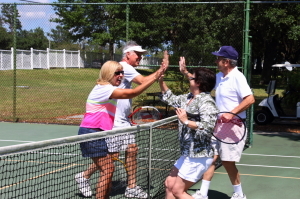 What are you looking for in an active adult community? Is proximity to a bustling city like Tampa, Florida, important? Would you like lots of amenities within the community to keep you busy? Or are you looking to get out and about? Maybe you want to be near a major airport, or close to seaports for the occasional cruise? At StrawBerry Ridge, we can meet all these needs and more, offering the ultimate active Florida lifestyle in a way that’s affordable. What’s more, you’ll find a plethora of activities waiting for you just outside our gates. From pristine beaches along the Gulf shore to world-class restaurants, music venues, amusement parks, museums, aquariums, and other attractions, you won’t have to spend a single day scratching your head finding things to do. In fact, the most difficult decision might be choosing which activity to enjoy, given so many good options. Contact one of our friendly Lifestyle Consultants at StrawBerry Ridge today to learn more about our active adult community. Let us help you launch the next chapter of your life in the sunny Tampa, FL, region!